The lovely Carol at New Mummy recently sent out a tweet asking if there was anyone out there that fancied reviewing some cake. Well, call it the novelty of never having done a review before, or just the fact that I can't resist cake, but I simply had to volunteer. The kids were absolutely thrilled when the postman brought a parcel on Saturday morning to discover an Official England World Cup Cake inside (licenced by the FA, no less). As you can tell from the photo on the left, they couldn't keep their hands off it, even as I was busy trying to take a pic. 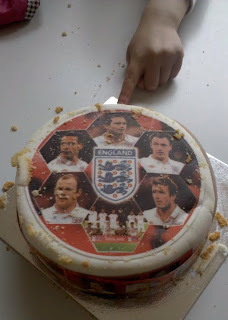 The cake comes with the added bonus of a strip of stickers with pictures of various members of the England team. Some of the more well-known members of the team are pictured on the icing on top of the cake. Inside is a sponge cake with strawberry jam and buttercream filling, which were very tasty. All colours and flavours are natural, and I must admit the taste did not have that synthetic hint about it that you sometimes get with mass-produced cakes like this. 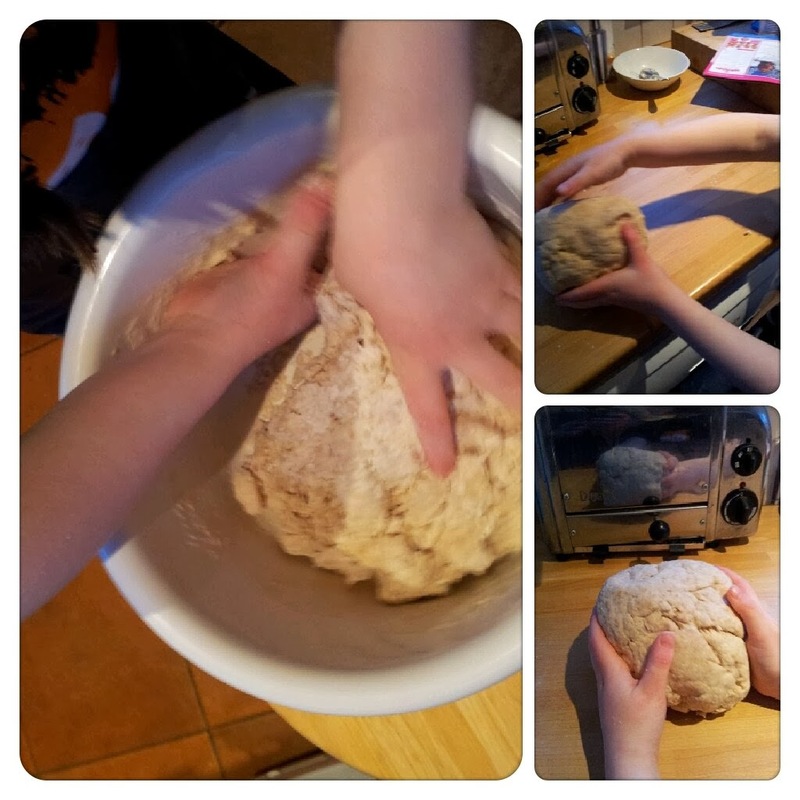 The only thing I would say is that the sponge could have been a little moister in my opinion, but the kids hoovered it up (it is supposed to serve 14, but the two of them could quite easily have eaten the whole thing had I let them!). "Mummy, this cake is delicious"
If you have football-mad children, I'm sure this will go down a treat. It would make a great birthday cake, or centrepiece to a World Cup party. The cake costs £6.99 (very reasonable for a cake this size, in my opinion) and is currently available at selected Tesco's and Morrison's .